Summer simply makes me crave seafood. So when I left work last night, I had one thing on the brain: shrimp. 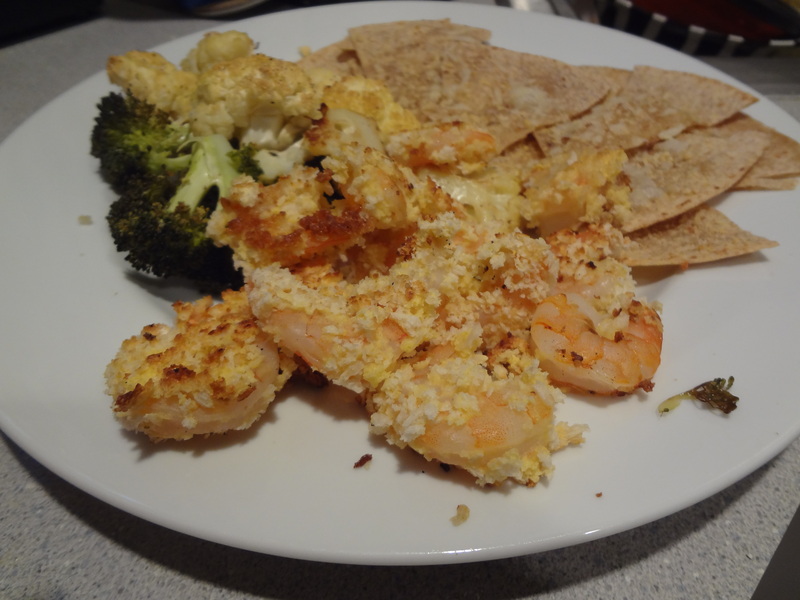 Rather than go the easy route and grab take-out fried shrimp at one of the zillion restaurants near my apartment, I went the healthy-route: baked panko-crusted shrimp! Trust me when I say anyone can make these. The hardest part is defrosting and de-shelling the shrimp! 1) Preheat oven to 350*. Prepare a large nonstick skillet over medium-high heat, and coat with cooking spray or olive oil. Cover a large cookie sheet with tin-foil and spray with cooking spray; set aside. 2)Thaw shrimp under running water. Peel, leaving tails intact; discard shells. 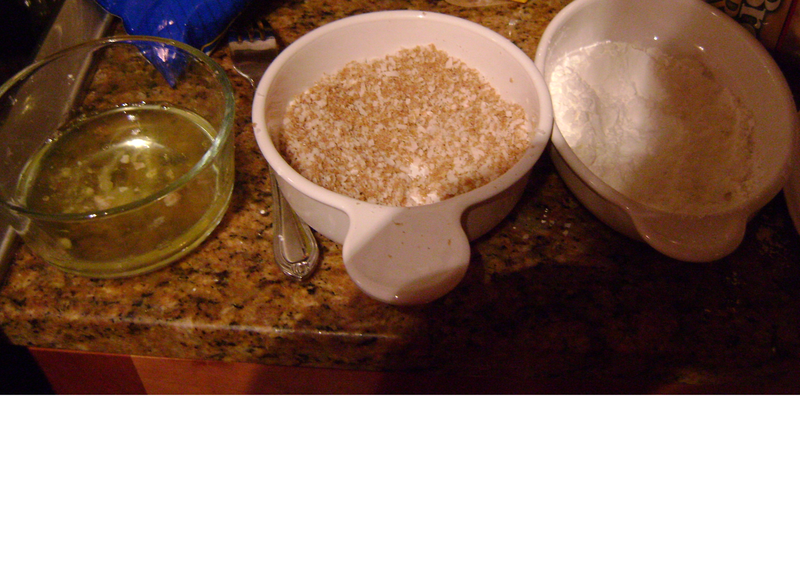 3) Place panko crumbs, cornstarch, and egg mixture (make sure it’s whisked!) in 3 separate bowls. 4) Working with 1 shrimp at a time, dip the shrimp in cornstarch or flour, shaking off excess. Then, dip in egg mixture, then dredge in panko crumbs. 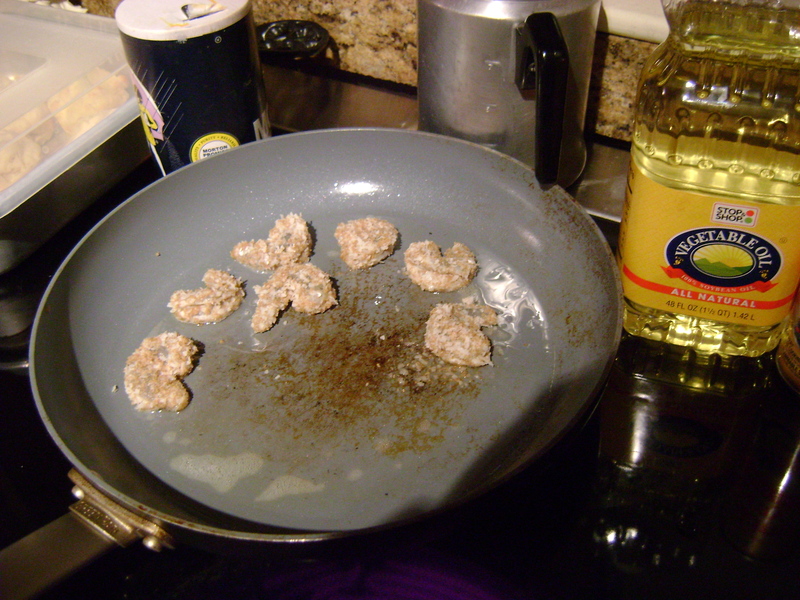 5) Add shrimp to pan, one by one as you go; coat tops of shrimp with cooking spray. Cook shrimp 2 1/2 minutes on each side or until done/light pink in color. Your pan will likely fill up. So cook a batch, and place the shrimp on the cookie sheet afterward. Repeat procedure with remaining shrimp. 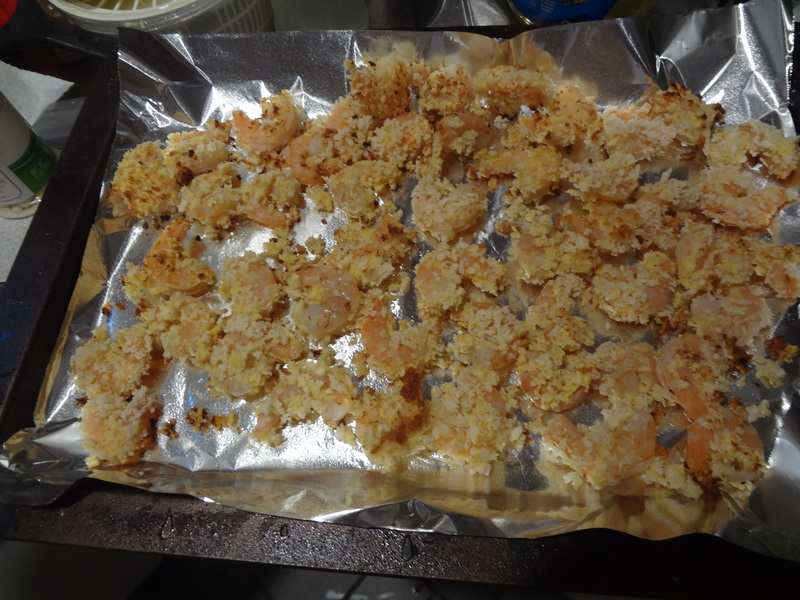 6)Once the shrimp are pan-cooked, place shrimp in oven for 3-5 minutes for an extra crispy coating! One of my best friend’s came over for dinner, and she loved these! I did too. I suppose I could have chosen a better night to make these (it was 95 degrees in Boston yesterday), but I don’t regret my decision at all. 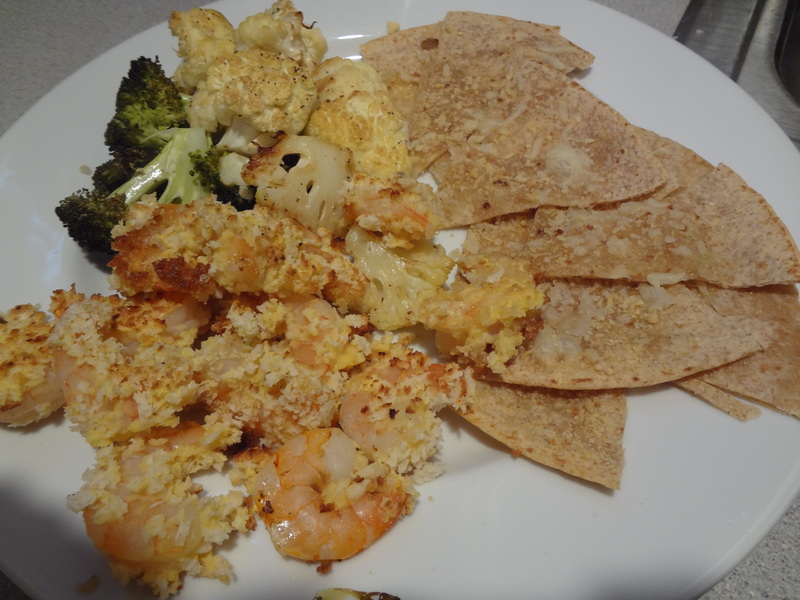 They were the perfect choice for a Monday dinner… I have leftovers for lunch all week!